London’s Metropolitan Police named the man responsible for Wednesday’s Westminster terror attack as British born Khalid Masood. In a press release from Scotland Yard Thursday afternoon approximately 25 hours after the attack took place, the force revealed 52-year-old Khalid Masood, born in Kent but lately a resident of the West Midlands was responsible for Wednesday’s deadly attack that killed three, including a British-Spanish woman, an American tourist, and a police officer. Revealing that the killer wasn’t being monitored for terror reasons but had previously been convicted of criminal offences, Scotland Yard said: “Masood was not the subject of any current investigations and there was no prior intelligence about his intent to mount a terrorist attack. “However, he was known to police and has a range of previous convictions for assaults, including GBH, possession of offensive weapons and public order offences. “His first conviction was in November 1983 for criminal damage and his last conviction was in December 2003 for possession of a knife. “He has not been convicted for any terrorism offences”. The Westminster terrorist who brought bloodshed to the heart of London was a British citizen who had been investigated by MI5 over violent extremism, Theresa May has disclosed to the Commons. She was speaking as it emerged eight people have been arrested in connection with the terror attack. Scotland Yard said six addresses have been raided in London, Birmingham and elsewhere overnight following the attack linked to “Islamic terrorism in some form”. Police revised the death toll from Wednesday’s atrocity down from five to four – the attacker, who has not been identified but who police believe acted alone; Pc Keith Palmer, who he stabbed; Aysha Frade, a Spanish teacher and mother of two, and a man in his 50s – both of whom where mown down as the terrorist sped across Westminster Bridge in his car. A total of 29 people were treated in hospital following the carnage, with seven people remaining in a critical condition on Thursday morning. The injured included 12 Britons, including three police officers who were returning from an event to recognise their bravery. The Ukrainian military said unknown saboteurs blew up a warehouse storing tank ammunition at a military base in the east of the country early on Thursday. The base, which contained about 138,000 tonnes of ammunition including rockets and tank ammunition, is located in the city of Balakleya about 100 km (60 miles) from the frontline of Ukraine’s war against Russian-backed separatists. Rescue teams were helping residents nearby villages in the eastern Kharkiv region, the military said, and up to 20,000 were evacuated. Former Russian lawmaker Denis Voronenkov has been shot and killed in central Kiev, Ukrainian police have said. “There was an exchange of fire in front of the entrance to the Premier-Palace Hotel about 40 minutes ago. One man was killed and two other persons were injured. The identity of the killed man has been established. He is a Russian politician, a former State Duma member. Yes, I can confirm that he is Denis Voronenkov,” the head of Kiev police, Andrey Krishchenko, said, as cited by TASS. Krishchenko said the assailant injured Voronenkov’s bodyguard, who fired at him in return. 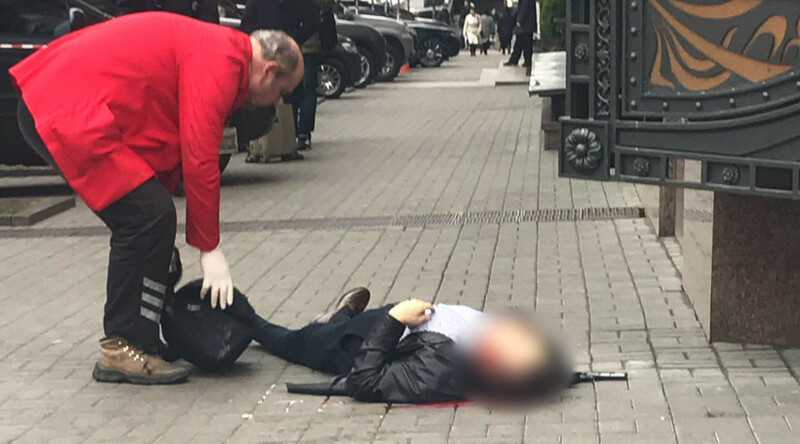 “[The suspect] is under police protection, he is being given priority medical assistance at a hospital,” Krishchenko told reporters. Voronenkov, a former member of the Russian Communist Party, emigrated from Russia to Ukraine in October 2016. He received Ukrainian citizenship in December, having given up his status as a Russian citizen. He was highly critical of the Russian authorities. CAIRO, Egypt — Ten Egyptian soldiers were killed in two roadside bombings as they clashed with Islamic State group jihadists in the Sinai Peninsula, the military said on Thursday.Fifteen jihadists were also killed in the fighting, the military said in a statement, without saying when the incidents took place. The military said the clashes broke out when soldiers raided “an extremely dangerous” jihadist hideout. 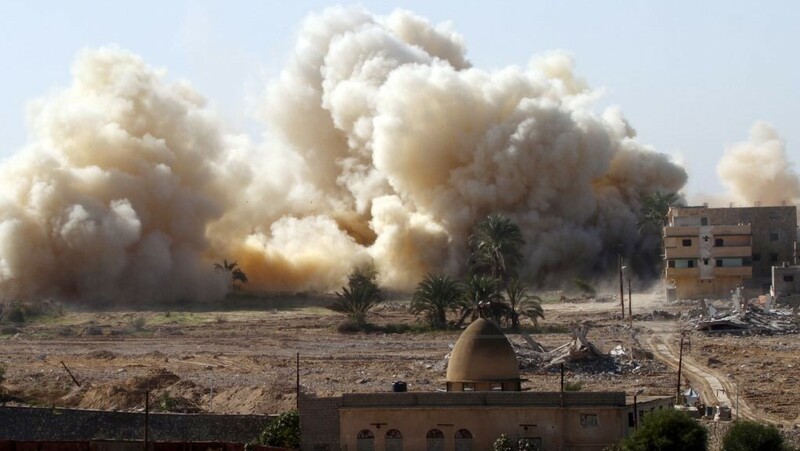 The Islamic State group had said in a statement on Wednesday afternoon that it blew up two army vehicles during clashes south of the Sinai city of El-Arish. The jihadists have killed hundreds of soldiers and policemen since the army overthrew Islamist president Mohamed Morsi in 2013 and cracked down on his supporters. A new WikiLeaks Vault 7 leak titled “Dark Matter” claims, with unreleased documents, that the Central Intelligence Agency has been bugging “factory fresh” iPhones since at least 2008. WikiLeaks further claims that the CIA has the capability to permanently bug iPhones, even if their operating systems are deleted or replaced. The documents are expected to be released after an 11:30 a.m. EDT “press briefing” that WikiLeaks promoted on its Twitter. AFP NewsMoreA controversial nationalist educator said under oath Thursday he had received a donation for his school from Japanese Prime Minister Shinzo Abe despite the premier’s repeated denials in an intensifying political scandal that has gripped the country. The nationally televised testimony by Yasunori Kagoike came as his purchase of government land at a huge discount has dominated media coverage for weeks. Abe, whose high approval ratings have taken a hit, has repeatedly denied giving Kagoike money and on more than one occasion offered to resign if he was found to be involved in the land deal. Analysts have said that there would likely be nothing illegal in such a donation, but if proven it could damage Abe’s credibility given his steadfast denials. The Russian Federal Security Service said that it had detained Russian citizens for smuggling arms from the US. MOSCOW (Sputnik) — Russian citizens have been detained across four cities and 19 weapons were seized in an illicit arms trafficking case from the United States, the Russian Federal Security Service (FSB) said Thursday. “The activity of an interregional criminal group involved in the illegal trafficking of firearms, its main parts and ammunition, as well as the organization of a channel for their smuggling to Russia from the United States through international mail, has been stopped,” the FSB said. Among the weapons seized by the FSB were: two machine guns; two US-made assault rifles; eight foreign and domestic pistols and revolvers; seven foreign and domestic carbines and rifles; cartridges, main parts and components for various small arms. Rep. Louie Gohmert, an outspoken House Republican from Texas, is calling for a congressional investigation of John Podesta’s role with Rusnano, a state-run company founded by Russian President Vladimir Putin, The Daily Caller News Foundation’s Investigative Group has learned. Podesta — Hillary Clinton’s 2016 presidential campaign chairman and former President Bill Clinton’s White House chief of staff — first made contact with the Russian firm in 2011, when he joined the boards and executive committees of three related entities: Boston-based Joule Unlimited; Rotterdam-based Joule Global Holdings; Joule Global Stichting, the company’s controlling interest. All are high-tech renewable energy enterprises. Three months after Podesta’s arrival, Joule Unlimited accepted a 1 billion ruble investment from Rusnano, amounting to $35 million in U.S. currency. The firm also awarded a Joule board seat in February 2012 to Anatoly Chubais, Rusnano’s CEO, who has been depicted as a corrupt figure. (WASHINGTON, DC) Iran is sending advanced weapons and military advisers to Yemen’s rebel Houthi movement, stepping up support for its Shi’ite ally in a civil war whose outcome could sway the balance of power in the Middle East, regional and Western sources say. A senior Iranian official said Major General Qassem Soleimani, commander of the Quds Force – the external arm of the Islamic Revolutionary Guard Corps – met top IRGC officials in Tehran last month to look at ways to “empower” the Houthis. Brigadier General Ahmed Asseri, spokesman for the Arab coalition fighting the Houthis, told Reuters: “We don’t lack information or evidence that the Iranians, by various means, are smuggling weapons into the area. Russian and Turkish soldiers are facing off over the Syrian Kurdish canton of Afrin. Ankara says the area that borders its territory is under the control of PYD ‘terrorists’ affiliated with the Kurdish insurgent group the PKK. But Moscow, like Washington, views the PYD and its YPG militia which controls Afrin as key to fighting Islamic State. Moscow took Ankara by surprise when it deployed forces in the canton to monitor a cease-fire between YPG and the Free Syrian Army, which is backed by Turkey. On Wednesday violence erupted again. Ankara said one of its soldiers was killed by a sniper shooting across the border, prompting Turkish artillery to retaliate. The YPG-controlled region has been under threat since Turkey launched a military incursion into Syria in August. Operation Euphrates shield has twin objectives, of removing Islamic State and the YPG militia and its political wing PYD. But Russian deployment puts Euphrates Shield in question. Turkey put on hold a plan to sell almost 600 companies worth about $10 billion that were seized in the aftermath of a failed military coup, according to two people with knowledge of the matter. It’s not clear whether the Istanbul-based Savings Deposit Insurance Fund, known as the TMSF, will ever go ahead with the sales because of concern over legal battles regarding their ownership, the people said, asking not to be identified because the plans are private. The companies form part of the more than 850 firms confiscated by the government last year and which have assets that are estimated to be worth a combined 48 billion liras($13.2 billion). All of the companies were taken over for their alleged support of self-exiled Pennsylvania-based cleric Fethullah Gulen, who President Recep Tayyip Erdogan accused of plotting the failed coup last July. Gulen has denied any involvement in the botched takeover. Turkiye Sinai Kalkinma Bankasi AS, or TSKB, Vera Varlik Yonetim AS and Garanti Yatirim Menkul Kiymetler AS were picked to advise on the sale in December. The fund hasn’t held any meetings with the advisers on strategy since nor has it signed a contract on the mandate to advise the sale process, the people said. Turkish police arrested a Canadian man, who is allegedly a senior figure in Daesh terrorist group, and was heading to Europe, in southern Adana province, reports said on Thursday. According to reports, counter-terror police teams at Adana Airport detained Wassim Bouhadou, who has dual Algerian citizenship, and was planning to head to Europe after going to Istanbul on March 10. The suspect was reportedly detained after boarding the plane, shortly before take off based on police intelligence claiming that he illegally entered Turkey from Syria and was planning to head to Europe through Istanbul. French President Francois Hollande said on Thursday that a French national appeared to have been involved in a suspected, attempted attack in the Belgium city of Antwerp. “It seemed to involve a French national, with possibly a certain number of weapons in his boot – it’s up to the judges to make a statement on that – who was looking to kill or at the very least create a dramatic incident,” Hollande told reporters. “Therefore we must continue to be on high alert and mobilize all our forces,” he added. Earlier on Thursday, Belgian prosecutors said that a man who had tried to drive at high speed into a shopping district in Antwerp was a French national, living in France, with knives and other weapons in his car. An Afghan town that more than 100 British soldiers died trying to defend has been captured by the Taliban. 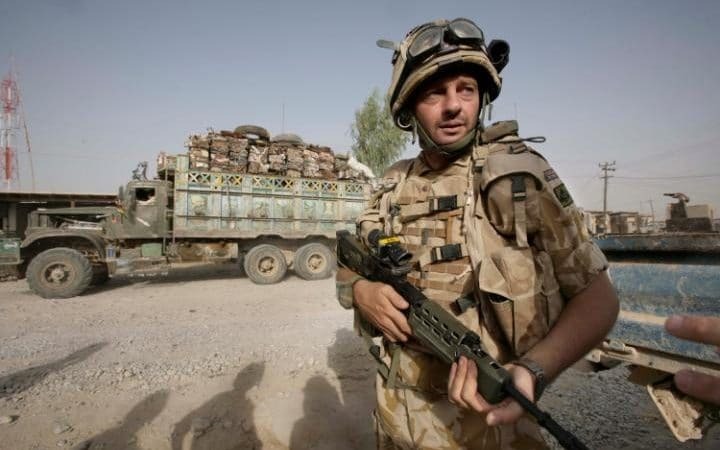 The strategic district of Sangin in Helmand province was the deadliest battlefield for UK forces in Afghanistan and 104 British troops died in the effort to keep it out of the Taliban’s hands. But the town fell early on Thursday morning as Taliban forces continued a years-long offensive to extend their reach in southern Afghanistan. The Afghan government said it intended to mount a counter-attack to recapture the town but it was not clear if they had the forces to immediately take it back. The set back came as the top US general in Europe warned that Russia may now be arming the militants. Army General Curtis Scaparrotti, Nato’s Supreme Allied Commander, Europe, said Moscow appeared to an increasingly influential player in Afghanistan. “I’ve seen the influence of Russia of late – increased influence in terms of association and perhaps even supply to the Taliban,” he told a Senate hearing in Washington. Gen Scaparrotti’s comments come after a senior Pakistani military source told the Telegraph that Russia could be tempted to stage a Syria-style intervention in Afghanistan if Taliban and Isil strength continues to grow. Russia has denied supporting the Taliban, saying its contacts with the group are aimed at bringing them to the negotiating table. The new United States presidential administration goes on with its old defense policy in northern Europe. On Tuesday, US Defense Secretary James Mattis held a meeting in Washington with his Finnish counterpart Jussi Niinisto. “Secretary Mattis met today with Finnish Minister of Defense Jussi Niinisto. The two leaders discussed Russian aggression, Finland’s relationship with NATO as an enhanced opportunities partner, and the bilateral security cooperation … between the US and Finland,” according to a statement by Pentagon spokesman Navy Capt. Jeff Davis. Meanwhile, earlier this week, the first batch of British armored vehicles has arrived in Estonia as part of NATO’s drive to boost military presence in Eastern Europe. In January, US tanks were also deployed to the region. Despite being a vocal critic of NATO during the electoral campaign, Trump is in close coordination with the alliance. He will have talks with NATO Secretary General Jens Stoltenberg in Washington on April 12 and will attend a NATO summit in Brussels on May 25. “Trump is turning into a typical US leader. As a result, northern European countries will be dragged into NATO’s problems and will have more obligations to Washington and Brussels, including financial,” journalist and political commentator Alexander Khrolenko wrote in a piece for RIA Novosti. Accepting Montenegro into NATO alliance is crucially important, US European Command head Gen. Curtis Scaparrotti said during Senate Armed Services Committee hearing on Wednesday. “They’ve had this desire, they’ve met the map, and it underscores NATO’s outreach and ability to bring those who want to determine their own means of govern to become part of NATO,” he explained. The Balkan nation is expected to join NATO in 2017. The authorities plan to decide on the membership not through a referendum, but through a parliament elected in October 2016. Earlier in March, Russian envoy to NATO Alexander Grushko told Sputnik that Montenegro’s dragging into NATO was an attempt to show that the open door policy was alive, however, many understand its erroneous nature. In February, Russian President Vladimir Putin said that NATO used an alleged threat from Moscow as a justification for its expansion. Several countries are actively negotiating NATO’s accession, including Georgia and Ukraine. Top Pentagon leaders are warning that the long war is going to get even longer. Defense Secretary Jim Mattis and Joint Chiefs Chairman Gen. Joseph Dunford told Senate leaders on Wednesday that even after ISIS is defeated in Syria and Iraq, US troops will be stationed in the region for at least a few years afterward. “I believe it’s in our national interest that we keep Iraqi security forces in a position to keep our mutual enemies on their back foot,” Mattis told members of the Senate Appropriations Committee on Defense. “I don’t see any reason to pull out again and face the same lesson,” he added, referencing the removal of all US forces from Iraq in 2011. Though President Barack Obama in 2008 campaigned on a promise to pull troops out of Iraq, the move has been criticized by conservatives in the years since as helping fuel the rise of ISIS. In 2014, as ISIS militants seized vast swaths of Iraq and Syria, one senior military officer told Business Insider the rise of the terror group in the wake of US troop departures was inevitable. “We said we won some success but this is reversible,” the retired senior U.S. military officer said, on condition of anonymity. “So what we’re seeing now is exactly what we forecasted. U.S. and South Korean soldiers finished a two-day drill Wednesday that simulated an assault on North Korean chemical weapons laboratories as Washington and Seoul continued their massive, annual joint military exercises on the volatile Korean Peninsula. Beginning Tuesday, the “Warrior Strike 6” drill saw the 1st Armored Brigade Combat Team, 1st Infantry Division drop from Black Hawk and Chinook helicopters to meet South Korean troops and storm an imitation village loaded with fake sarin gas facilities. While the military has units specifically tasked with identifying and destroying chemical weapons agents, infantry units were expected to first secure the perimeter, according to 1st. Lt. Stephanie Hetland, an officer in the Army’s chemical branch. The mock site was littered with traps, emphasizing the danger of the lethal agents. “They kill very quickly with very small amounts, and the means to make them has been pretty widespread for a long time,” Hetland told Washington-based military newspaper Stars and Stripes.